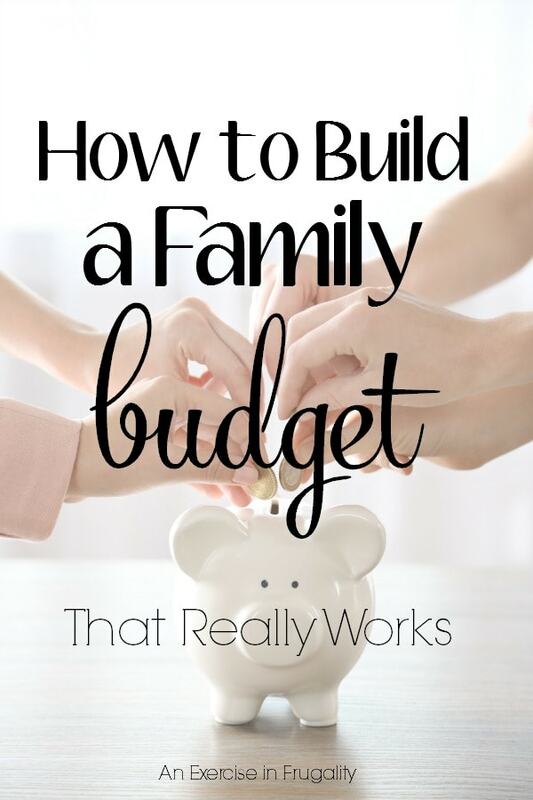 If you are looking to build a family budget that actually works, you’re not going to want to miss these tips. Get the whole family on board with your budget and you’ll have a much easier time. Creating the budget is half the battle, and when everyone works together, you can create an amazing family budget that you can stick to. If you are like me, you have decided to stick to a budget year after year only to find out it’s not working. It seems that life is always throwing some kind of curve ball that makes budgeting a battle that can’t be won. However, through our struggles, we have found ways to build a family budget that works, and you can too! Other people do not know your financial situation. The things that come up in your life are situations only you can understand. Stop listening to what others tell you to do with your finances. The truth is that the more you try to build a family budget around someone else’s budget, the more you will fail. Figure out a budget for yourself! Budgets are not one-size-fits-all, everyone’s situation is different and you have to do what works for you and your family. If you want to build a budget, you have to first know where all your money is going. For the first 3-months, don’t try to create a budget. Instead, pull your records, make spreadsheets, and analyze where each portion of your money is going. How much are you spending on eating out? How much were your bills each month? How much are you spending at the grocery store? Are there any curve balls that came out of nowhere? The answers to these questions are key to setting up a family budget that works. Once you have figured out where all your money is going, figure out how much money you can cut back and where. Maybe you can start learning how to effectively use coupons. Maybe you can eat out once a week instead of 3-times a week. Where can you cut back and how much? Try getting rid of cable and using a service like Netflix or Sling instead. Join services that let you save money on things you already do like Swagbucks and comparison shop. Often times I find things on Amazon are cheaper than at a local store. One or both cars break down in the same week. The government decides to raise taxes and your mortgage goes up. The water heater decides to stop working. You heat goes out when there is a negative 30-degree wind chill. You get the picture! Start plopping money back for those curve balls as a monthly expense. Once you have set a budget for food, bills, an emergency fund, and cut back on things you can start saving. You should always pay yourself first. This means to pay your savings account as if it were just another bill you have to pay. However, don’t kill yourself trying to do it. Save what you can. If that means you save $5 a week, then put $5 a week in your savings and no more. Most importantly, in order for a budget to be successful, EVERYONE has to be on the same page. It’s not optional, and once the terms are agreed upon, it’s non-negotiable. Everyone needs to do their part as a team or your budget is destined to fail. What other tips do you have for finding a family budget that works for you? Share your budget tips in the comments below! I was doing research on ‘How to Budget’ and I found this article to be particularly helpful thank you. I would also like to add that ‘percentage budgeting’ is also an effective way to budget.